Avalanche Studios‘ pedigree and Rage’s vehicular combat suggests Avalanche and id Software will go above and beyond with Rage 2‘s vehicles. Yet, while the sequel features car combat, it supposedly won’t be the main focus. Loke Wallmo, Senior Game Designer at Avalanche, divulged this during a recent interview with GamesTM. It is different in the sense that the gameplay is focusing on more guns on the vehicles, more explosions and gadgets and more over-the-top stuff like that. So it does create a different starting point for where you want to go with the vehicles. But we’re not really focusing on the vehicles that much. You will have one major combat vehicle that is engineered for fighting out in the wasteland, but you can drive anything with wheels. And some other stuff, as well. It’s definitely up to you how you want to approach getting around the world and what you wanna do. And those main vehicles that you have are upgradable, you can customise [sic] the weapons and loadouts a bit. During the interview, Wallmo and Tim Willits, id’s Studio Director, also spoke about Nanotrite powers. According to the developers, these powers might make players feel like superheroes. Hopefully, this and more are shown off in greater depth soon. 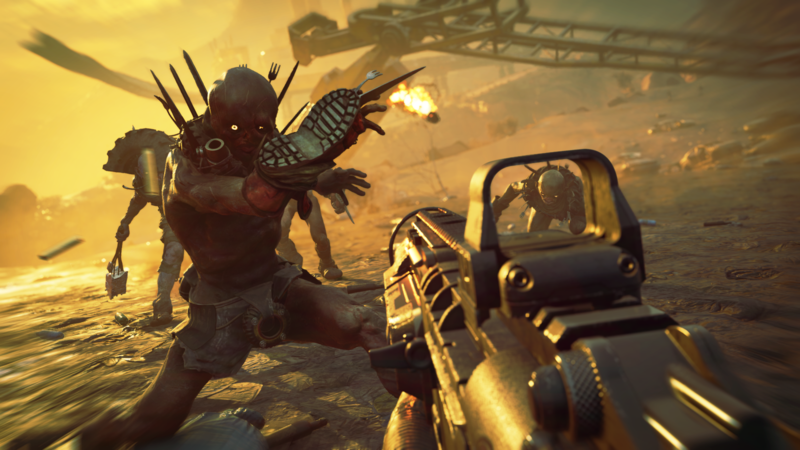 Rage 2 rides onto the PlayStation 4, PC, and Xbox One in Spring 2019.